Here are the best way to install one printer driver, easy and fast, the normal way and new better. There are several ways to install a printer, it all depends on printer're trying to install, so we will use it after installed and operating system are using. You should always read the manufacturer's documentation to get some more knowledge regarding the installation process. 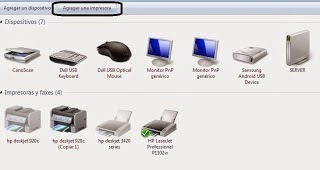 Normally install a printer via a direct USB connection from the CPU to the printer, when we make this connection the computer will automatically detect the printer and have three options, install the drivers from the computer, downloading drivers from the official website of the manufacturer or enter the installation CD to update the drivers. We follow the screening procedure using a plug and play, choose the printer port, it is recommended to choose the recommended printer port, click next. Where is directed is the installer wizard, select the make and model of the printer you want to install and continue the process. If the printer does not appear in the printer list click Windows Update and wait for the upgrade printers should not appear upgrade for your printer do the installation using the installation CD. 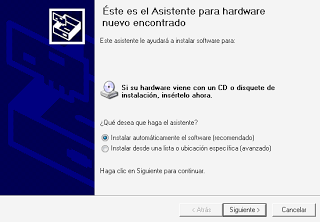 The installation via CD is a bit more simple process, usually when we connect a printer to our computer a message that you have installed a new hardware appears to us. When the dialog appears New Hardware Detected, select the box "Install the software automatically (recommended)", so the system will search for drivers directly from the printer CD.